When I was interviewed by the blog CECY j, one of the questions she asked was, “How would you describe your decorating style in one word?” I had never been asked that before, so I had to think about it a bit. Only one? I looked around my house. If I had never been here before, what would stand out to me? What things am I most drawn to? How would friends describe my style? Then I started thinking about my personality. What do I like and need in my life and from my home, and how does that translate into how I decorate? I finally settled on the word simple. It’s one that resonates with me in many ways beyond just decorating. I like to keep things simple in both my house and in my life. I focus on the handful of things that are really important to me and try to forget the rest. It’s important for my house to feel calm and relaxed and for me, keeping things simple is a way to achieve that. I hate clutter and have a minimalist streak. My house supports me with several quiet corners I can retreat to–like my sunroom, which is my favorite spot to “breathe” in. I don’t like things that are too fancy, formal, or scream for attention. Nothing high-maintenance goes into my house. 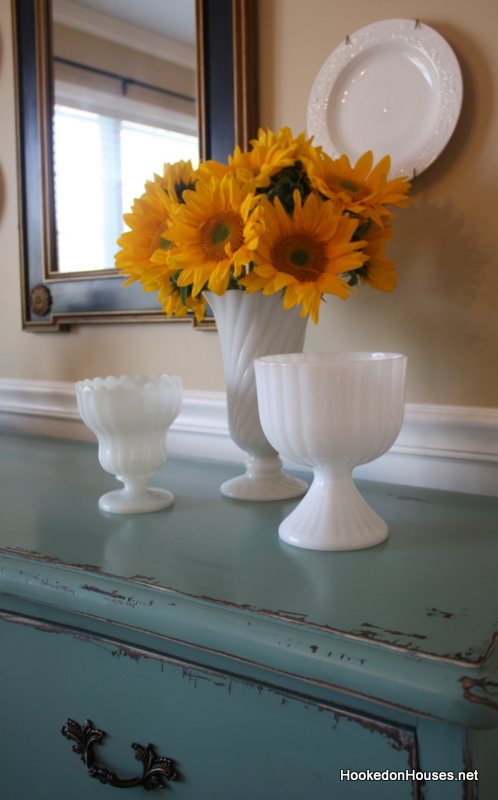 I’ll take a milk glass pitcher full of daisies from my yard over red roses in crystal any day. I guess I’m just a simple girl at heart. So now I want to know, how would you describe your decorating style? Can you boil it down to just one word? Is the Era of the Perfect Home Over? What Style Makes You Happy? Colorful, would work for me and all the nuances this one word can encompass. Eclectic or Bohemian. I know they are not new to the world of decorating, but they work for me. Bohemian especially. In your case simple works, but it needs the explanation you give. Otherwise it could also mean ‘sufficient’ or ‘it’ll do’, which cuts it short. True, but it resonates with me. As long as I remember to keep things simple, I’m happier with the results. And I have to admit I have often said, “That will do,” and lived just fine with it, so maybe that applies to me, too. Ha. Great post! I’m a simple girl too. I love clear counters and uncluttered surfaces. Sometimes I’m drawn to elaborate spaces, but I know in my heart I couldn’t live with it long term. I can relate to that! That’s why I couldn’t come up with a single style like “traditional” or “contemporary.” I like so many different decorating styles, but they all kind of work together as long as they aren’t fancy, formal, high maintenance, or anything else that defies simplicity. Simplicity is my favorite word, so I guess I’ll choose it to best describe my style in decorating and other areas too, including friendships. Personal. My home is filled with things that I’ve made, or that members of my family have made. I am not interested in decorating my house with things from the big box stores. That’s a great answer. It’s so interesting reading what everyone has to say on this topic today! I LOVE reading your blog and I too am Hooked on Houses. If I had to answer that question, REPURPOSED would be my 1 word….oh wait…SALVAGED. Anyway check out my before and after photos at http://www.somethin-salvaged.blogspot.com. I am not much for words, but I think my projects speak for themselves. That’s great, Kelly. 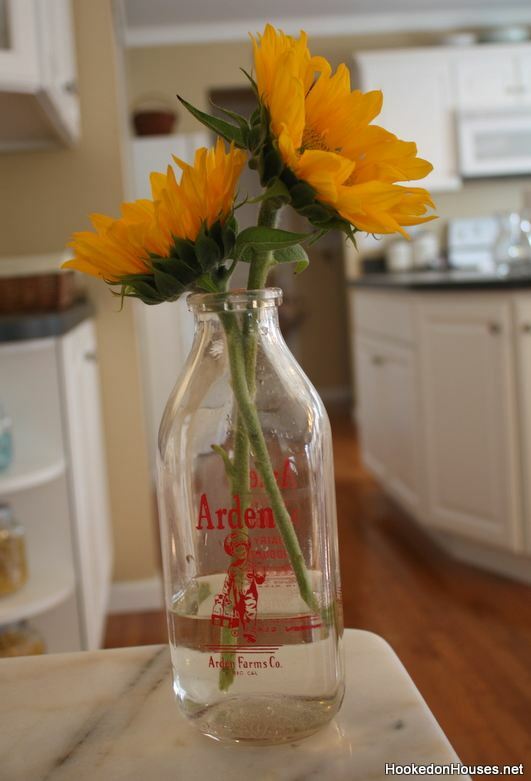 I’m so inspired by people who are creative enough to repurpose old things in new ones like that! Thank you. I was a teacher for 19 years and this is a nice change. Fun question Julia! I would describe my decorating style as “gathered”. Oooh, I like that word. That would be me too. “Den” is the first word I thought of. I have never heard of that book but that sounds like me. Buying the book right now! Its not easy to describe your decorating style in just one word but I would have to say my style is “CottageCHIC”. Okay, maybe thats two words but I made it look like one. I like a fresh, clean and uncluttered look and using neutral fabrics and wall colors and adding color through pillows and accessories. My husband describes my decorating style in one word very easy. EXPENSIVE! OH I love you more all the time!! HSP! I think I am but I’ve made myself stop reading about it because it seemed to make me more aware and bothered with all of my surroundings! Took the test, I’m a 19. Great post – very thought provoking! That’s so interesting, Cindy. It definitely seems to run in families. I think both of my kids are HSPs. It’s really helpful to understand that when you have a child who is easily overwhelmed by high-sensory situations and who can be so easily affected by their surroundings. They also need a lot of down-time or “alone time” as my daughter puts it before retreating to her room after school! I found it hard to come up with one word, but pondered it and came up with Cottage, too (before I read any comments). All the adjectives I thought of described my favorite kind of cottage: charming, cozy, English, country, rustic, storybook, garden, etc. I love the look of old things that could tell a story, hand-crafted pieces, paintings on the wall, and lots of books and comfortable nooks in which to read. I haven’t read the HPS book, but would recommend “Quiet – The Power of Introverts in a World That Can’t Stop Talking” by Susan Cain. It’s revelatory and vindicating for us introverts. Being highly sensitive is part of being an introvert. In fact, it starts at birth – highly reactive infants turn into introverts. Do read it. I highly agree. Great book! Just finished reading it myself last week. Thanks, Carolyn! In one word ……um…..er…….no ! Cozy, I think. We have a 20s bungalow that has an almost cottagey feel to it, so we walk in and you’re just completely enveloped in coziness. That’s so hard to do. I agree with comfortable though. I want to be able to relax in my house and enjoy being there. So much of the “style” nowadays doesn’t look comfortable. Meaningful. Items tell stories in our house. Maybe it is part of being a HSP. I only wish I found that book much earlier in my life!. You guys are coming up with the BEST words. I should have thrown this question out to all of you before I gave my answer to the interviewer! I was going to say “sentimental” for the very same reason that Michelle explains why she chose “meaningful”. My husband asks our first-time guests who want a tour of our house if they want an “anne tour” or just a tour because my tour is longer, involving the stories of the handmade or sentimental decor and also the room renovation details. And thank you for mentioning HSP. Didn’t officially know about HSP until today, but it is me for sure! Love that he offers them two different tours. Too funny. The word “sentimental” is a good one, too! It’s so hard to come up with just one word–I’m more Southern tradition+casual+coastal+everything in its place+French touches…. Simple, but comfortably elegant is definitely you, Julia! I think the word “Southern” is very evocative. I can immediately picture what you mean. “stuffy” not in the snooty sense, but I like stuff. I can walk down a sidewalk and see a piece of bent wire and be fascinated with it. Next thing you know bent wire sculpture on wall. Your not a hoarder if it is fabulous. For me less is not more. Wow, this is a great question. But I like others, can’t really narrow it down to one word. I think mine would be Romantic/Traditional. You can take a peek at a post I did earlier this year for an example. May I borrow your link to the Highly Sensitive Person self test?? Love the idea of a Valentine breakfast. How sweet and romantic! It is hard to narrow it down to one word. You wouldn’t believe how long I pondered the question until I came up with an answer for the interviewer. Oh, and yes, link away to the test. I know a lot of people who have found it really helpful. My word is not an adjective but a noun. Shaker. Their, furniture, rooms, buildings, villages have been known to reduce me to tears. I like the word “Evolving” as well. It’s difficult for me to commit to one design style because I like so many of them. I the look of clean lines, but then I’d have to say “clean”. My house is anything but (with a four year old). Here in Holland they call it “landelijke” literally means “rural” but when you see the style it looks simple and homey. Similar to Beligan design. I like that. I need to write that down. What a great word! I am SUCH an HSP and I never knew what to call myself!! I’m going to try to get that book on my Kindle asap. I mean I’m strong and don’t take crap from people but I need calm and order and it is so, so hard when you are raising two little boys and running multiple businesses. I think the best single word to describe my style would be practical. I love beautiful things but design has to make sense and be livable. Fun post as always! Confused!..There’s old fashioned painted beadboard, painted plank walls, contemporary framed black and white photos everywhere, traditional furniture, antiques, modern lamps in some of the rooms, a footed tub in the bathroom.Yep, definitely confused….or maybe indecisive? Ha, I can’t even decide on the one word. 🙂 Great question though. My style is also “simple”. I like things that are uncomplicated, honest, clean, comfy and easy. I’ve had many different decorating styles over the years from cottage to vintage, but in all cases, simplicity has always been the driving focus for me. I have a friend who is an interior decorator and she calls me a ‘minimalist’ so I am with you, Julia. But I also try to have a little ‘bling’ in every room. I think the beauty of particular pieces will shine if they are not ‘competing’ with a lot of clutter. Also, I grew up with a lot of clutter so I think that has something to do with my dislike of it. I guess I would have to describe my style as traditional. Someone recently said of my home ‘French Country’ which surprised me. “Me”, whenever anyone comes here they say that this place is really “me”. It reflects where I’ve been, what I wear, what I love. It’s the German word for ‘agreeably pleasant’. And that’s my style. A mix of old and new: comfortable, durable, practical, useful and pleasing to the eye. This is another good one I hadn’t heard before! If you are a highly sensitive introvert you should read “Quiet” by Susan Cain. It’s fascinating! I just finished it, as a matter of fact. Loved it! Great book. I’ve been lucky enough to inherit fine pieces of furniture and art that have come down many generations so my home reflects all those who came before me. It’s an honor to be a steward. PS: I just watched the movie A Summer Place and two great houses in it you might want to talk about one day; the Frank Lloyd Wright home in Monterey and the Pine Island Inn in Maine. I like that. “Generational” is a word that says so much about you and your home. I can’t remember much about A Summer Place. I think I saw it once years ago. I’ll have to see if Netflix has it! Serene. I want to walk into my house and feel like I can breathe at last. No matter what the world dishes out, I love the calm my house my house provides! The first word that came to mind is comfortable. I want a home that is well taken care of and not dirty. Also like Rebecca said, I want to be relaxed and at home there. I am a highly sensitive person and it’s a quality that’s hard to have sometimes. I would say traditional. I love the old world “library” look, with books and a few treasured mementos from travels. Warm and comfy furniture that has been collected and passed down from generations. FICKLE!! lol Seriously, it changes depending on the house I’m living in and what is going on in my life. When I lived in big cities, I needed calm spaces with muted colours. When I lived in a rural area, I embraced lots of colour and pattern. 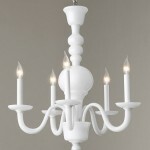 Now I live in a house with dark rooms and I’m all about shabby chic and white! and I’m loving every twist and turn of it! I have never paid attention to what style I have but I’ve always liked leather furniture so that’s a bit on the masculine side. I like a bit of drama, My friend tells me I’m a bit on the quirky side I guess she would know – her job is to make very beautiful and sometimes very costly curtains – imported fabrics will do that to you every time. There is something that I am sure of and that is I have Champagne taste on a Beer budget. I like my little bunch of flowers from the garden that hubby picked for me this morning in a little old milk jug that I’ve had forever – this I wouldn’t change for anything. Till next time Regards Esther from Sydney (a little bit country and a little bit rock and roll) HAH. This is cruel! There are just too many words to choose from. You’re a writer, Julia, so you know! It is tempting, though. I often say , I grew up in Brooklyn and now live in the suburbs, but my soul lives in a country farmhouse (sort of a glam one. ) I’m sticking with “screendoorstyle. ” You asked for it, you got it! I’m such a weirdo. Great topic! I think the best word to describe me is “nostalgic”. I live in a really old house which has been restored in a sympathetic yet contemporary style. When I first pulled up to the house, the feeling of warmth and belonging just enveloped me. (I think it was the wrap-around veranda that did it 🙂 I have an eclectic mixture of old and new things, but no matter the object’s age, it must have a timeless character to blend with the environment. I have been fortunate to have inherited some great pieces, such as my grandmother’s circa 1890 piano, a grandfather clock from around the same era and a rustic, rather beaten up step-back cupboard. Rustic which is comfort and memories to me. Although mixed with good furniture. I do trend at times, but have found it just doesn’t work. And love antiques, but for other’s homes. Got over dusting/maintaining such. Love reading all posts and look forward to your updates, making my brain move ahead. “Romantic” would be my one word if I had to choose one to describe my home decor. I read the book about highly sensitive children when my oldest was a baby, but I haven’t read the one for adults. I’m not sure if my son is really “highly” sensitive, but he is sensitive to things for sure, and was a more difficult baby to keep happy than my second son was. I know that I am a sensitive person, and very aware of details and things around me. Ugly surroundings really almost hurt me; they make me depressed. And beautiful scenery, music, etc. effects me very deeply in a good way. Definitely ‘cosy’. Living in Scotland it’s definitely all about rugs, cushions, throws, lamps and candles! The onset of Fall gets me over excited, as I get to (as I call it) cosy up the house. “Quiet”. If I cannot feel a sense of quietude in my rooms, it’s too busy for me. Hence a lot of white, off white,softer colors, not too much “stuff” around. I have a few sentimental pieces I use for display but ultimately I will seek out accessories that enhance the feeling of quiet. The basic thing for me is making sure clutter does not allow itself to rear its head. And too much color around my living environment would be difficult on a day-to-day basis for me. (Then again, I’ve read that many designers/decorators also have limited color palettes in their own home.) But what’s “quiet” or relaxing to one person, might be quiet the opposite for another. I wouldn’t know exactly how to describe myself based on that book (I haven’t read it) but my chiropractor and good friend told me “you have a very sensitive system”. 🙂 Maybe there’s some truth to that—I majored in music and theatre and then became a decorator in my “second life” 😉 Without developing one’s senses to a rather high degree, it’s hard to succeed in areas of the fine arts. INVITING. Not in a cozy-farmhouse-snuggle-by-the-fire way, but more in a I-totally-want-to-hang-out-in-this-room kind of way. Whether it be a fun furniture arrangement to promote conversation, soothing colors in a bedroom to lull you to sleep, or a bold and graphic dining room just screaming “dinner party!” I love rooms that people want to be in. I think that’s the key to successful design no matter what your taste might be (that day, that week, or throughout your life). Fun post! Thanks for sharing. I read that book–the Highly Sensitive Person and I’m certain people probably feel that I’m an introvert. I’m attracted, much like yo, to serene, uncomplicated surroundings, except in my garden where I tend to love the lush English gardens–lots of flowers and a riot of color. Yet even there I bring in many different elements and styles. It’s hard for me to narrow my style into one word too, since I tend to have broad tastes maybe that means that I have eclectic tastes or maybe it means I’m evolving. I like your word, simple though too because it can convey quiet, understated elegance. My style would be “bookish” which is found in every room. Wish the furniture was more comfortable and had more reading nooks in the house. Lovely, lovely, lovely!!!!! Adorable inside and out! Wow, what curb appeal. Nothing like that in So. Cal. I agree with Simple – I even gave away my microwave as it looked ugly on the counter. Same reason for my refusing to get an air conditioner( I live in an apartment) – they are just so ugly looking. 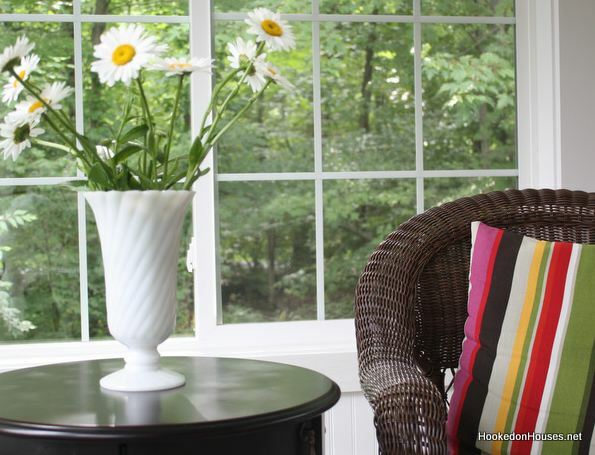 It makes you get creative about staying cool, like wide open windows and billowing curtains! Luckily I love 5 mintues from Lake Ontario and the Credit River and I’m in Canada – so not so many hot days to deal with, but enough. Yes simple is good for a highly sensitive person. Just had a pyjama weekend – no family, no friends just me and a good relaxing time, you need them occasionaly! Thanks for the blog and the book idea, I’ll have to read it! Eclectic, because I can’t choose just one! Stimulating is probably the best word, so sometimes I have to fight to keep from being too OTT. Color, texture, and contrast are important to me. These are also uppermost in my mind in the way I’ve designed our garden so there’s that consistency. And, from taking the test, it confirmed that I’m not an HSP! The first word that came to mind was “uncluttered.” But after I read that you said yours was “simplicity,” I remembered that my motto is “live simply,” so I’m settling on “simplicity” also. I love your style sense! I am truly an HSP. I am an introvert too and have always thought that to be a negative. Most people I know or work with are extroverts and they look at us quiet ones as a little odd. After hearing you say you’re an introvert, I’m now proud to be one too!